This great sounding Prosound N48QR VHF wireless headset & tie clip mic system comes boxed in excellent condition and includes a 3 month warranty. ProSound N48QR VHF Wireless Microphone. 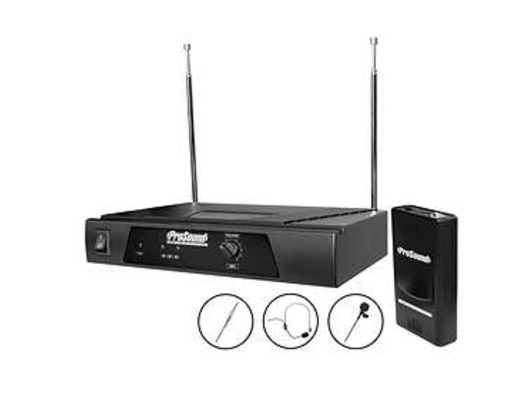 High-quality system ideal for anyone wanting to create a wireless microphone set up Ideal for schools, small clubs and pubs, in fact anywhere a wireless microphone may be required. 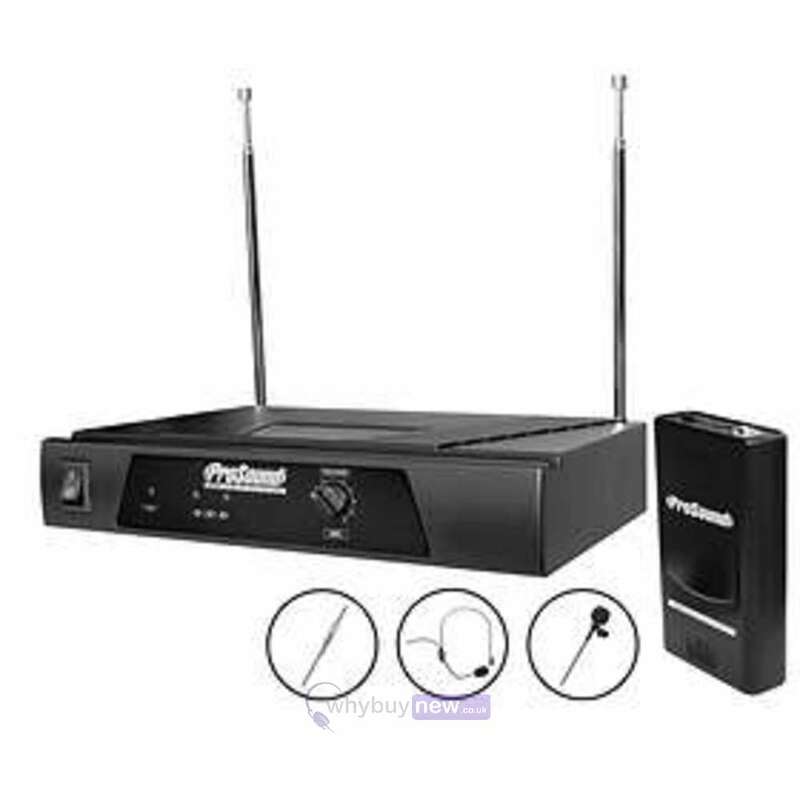 Crystal-clear sound transmission, Dynamic frequency switching system with multi-level narrowband frequency filtering, Low battery consumption, Transmitting pack runs off PP3 9V battery, Includes belt clip for easy conferencing, On/off switch to save battery power, Low battery status LED on transmitter, Input gain control for mics and instruments of different levels, Volume control on the receiver, Balanced (XLR) and unbalanced (&quarter;inch jack) outputs. Excellent product does as it says. Simple to set up and use.